Okay! 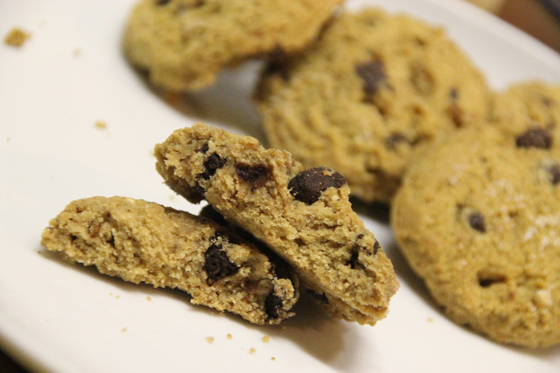 Ever since N and I got interested in the Paleo way of eating, we’ve been interested in different gluten-free versions of things that are most commonly made from wheat flour. Disclaimer: The Paleo diet not only focuses on eliminating grains in general (which means a lot of “gluten-free” things aren’t actually included in the Paleo diet anyway), it’s really more about building your diet around “cleaner” (more natural, and mostly unprocessed) foods. This means cookies themselves really aren’t common on the menu. This does not mean you can’t have a “cheat” every once in a while though – and that’s where cookies (and gluten-free items) come into play. 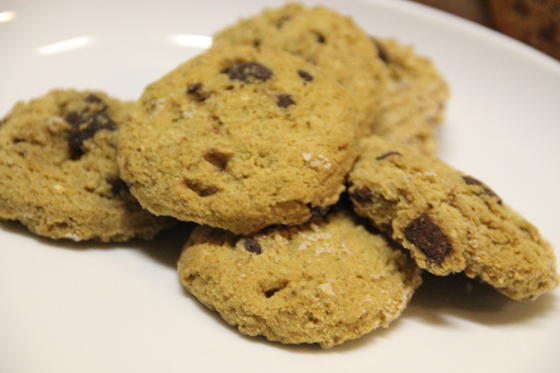 More in line with the Paleo diet, these cookies are made with mostly organic ingredients, and are actually not just wheat-free, they’re GMO, dairy, soy, corn, trans-fat, and if you’re allergic, nut free as well. Not bad! And while I fully subscribe to the advice I read in Michael Pollan’s “Food Rules” and think he says it best, “#39 Eat all the junk food you want as long as you cook it yourself,” checking the gluten-free section is great for inspiration, and sometimes you can find interesting things you never thought about. 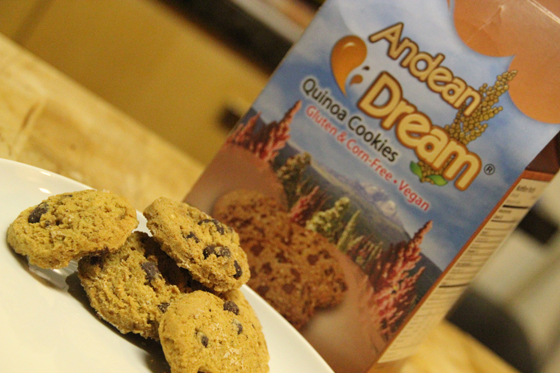 Like quinoa cookies. WHAT?! Eh, they’re cookies. I’ll try ’em. 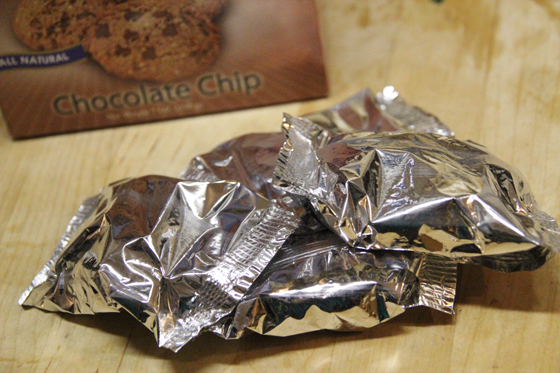 These cookies are foil-wrapped in pairs, which are good for freshness, but I think is also great for portion control! … but we opened almost all of them anyway … for the sake of the post! Yes, that’s it! Heh. They looked pretty good. Reminded me of the original Chips Ahoy. What do you think? These were actually quite good. I was expecting them to be a bit dry maybe – when you’re not working with wheat, sometimes it’s tricky achieving the same qualities you’d get with regular flour – but these were good. A little chewy, not overly sweet – overall I’d give these a thumbs up. They were a bit pricey of course (most gluten-free things are right now since they’re not that prevalent in grocery stores), and again, we don’t make a habit of buying any junk food really; but if you’re craving cookies and want to try something different, you could cheat a little with these and not feel too bad about it. Om nom nom nom nom.